This week our school had the great privilege of welcoming internationally renowned author and speaker Barbara Coloroso, and I had the great fortune of sitting in on all three of her presentations – to students, to teachers, and to parents. 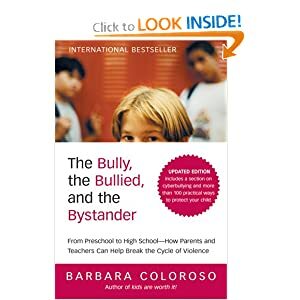 One of Barbara Coloroso’s main areas of specialty is bullying. She is the author of The Bully, The Bullied and the Bystander, which, I firmly believe, should be required reading for all teachers. Her presentation was engaging, and I learned a great deal about why many anti-bullying programs fail, and why praise-dependent, reward-dependent kids are less likely to take a stand against bullying… but that’s another discussion. 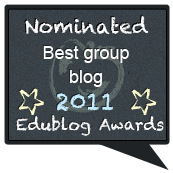 What does a presentation on the topic of bullying have to do with inquiry? Coloroso discussed the importance of nurturing in students, the “wonder” and the “why”. When you think of many 5 year old children, they approach life with wonder, amazement, and, as any parent or kindergarten teacher will tell you, lots-and lots- of why, why, why, why, why’s. So how do we teach kids to think for themselves, and not fall into the trap of camaraderie, that tricky situation, that slippery slope where kids may do meaner things (like bullying) than they would not ordinarily do? Or, on a larger scale, how do we prevent the development of one of the main conditions conducive to genocide, that is the unquestioning obedience to authority? We teach students to ask questions! Asking questions goes way beyond intellectual curiosity, though that in and of itself is a significant factor. We teach students to ask questions because…children who are encouraged to ask questions, to pursue their “how comes” and “why’s”… are more likely to say, when faced with the choice of taking part in a bullying situation, “why the heck would I want to do that?!”. That is, the more kids question and think for themselves, the less likely they are to get trapped in the bullying circle. Young children look upon the world with a sense of novelty and awe, which sometimes seems to wane by secondary school – the moment in their lives when verbal bullying is a significant concern. According to Coloroso, a 16 year old who still has that sense of wonder is less likely to commit “bullycide” – suicide caused by bullying – simply because s/he has a healthier outlook. There is little, if any doubt, that inquiry is a valuable, pedagogically sound approach to education, particularly with respect to the critical thinking and problem solving competencies it nurtures. Inquiry is all about asking questions, and pursuing the “wonders” and the “why’s”…I thought it was interesting to see the connection between those competencies in the “intellectual” world and the value of those same competencies in the complex, social, relational world our students are learning to navigate. Thank you Edna, you’ve caught me in a terrible transgression – one of not giving the whole picture! I completely agree, simply teaching kids to ask questions is not enough. For bullying to occur, there needs to be a dehumanization of the target, and sense of entitlement, a power imbalance, as you refer to. When kids don’t stand up against injustice, is it ignorance or apathy? We must teach kids to ask tough questions, yes, but we also hope to raise kids who will do the right thing, and sometimes at cost to themselves. There is rarely a reward for taking a stand against injustice – no one will hand them a shiny pencil, praise, or smiley sticker. We must help kids make those connections to other people, be kind to others. Instead of the “me, mine, and more” mentality, which leads to a sense of entitlement, we need to foster a “us, ours, and enough” mindset. As Coloroso puts it, the antidote to hating, hoarding and harming is to care deeply and share generously. When we have kids who care deeply, thinking critically and asking questions is but one of the “tools” that will help them on the right path. So definitely, learning to ask questions and think critically is an important part of it, and I believe kids who are not encouraged to ask questions may have more difficulty when it comes to asking the “tough” questions. That said, it is definitely not the whole equation! Thank you for helping me push my reflection a bit further – there are no clear answers to all these questions!